In pictures: Pope Benedict XVI announced during a mass 11 February 2013 that he plans to step down on February 28. A file photo dated 24 December 2012 shows Pope Benedict XVI leading the midnight Christmas Mass in Saint Peter`s Basilica in the Vatican. 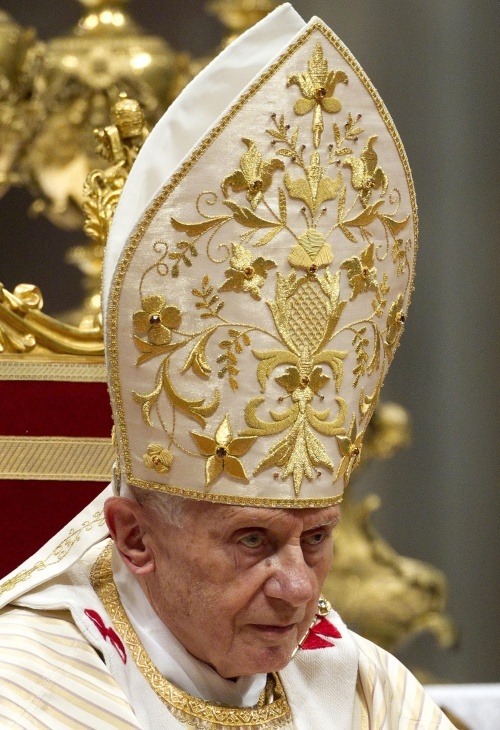 Pope Benedict XVI announced during a mass 11 February 2013 that he plans to step down on February 28. A file photo dated 24 December 2012 shows Pope Benedict XVI leading the midnight Christmas Mass in Saint Peter`s Basilica in the Vatican.